As a part of Mayfair’s Green Initiative, we will be removing all the water coolers and paper cups and replacing them with a water fill station for your water bottles. We will also be moving to smaller towels as a part of this initiative! 6:45 PM: Squash singles and doubles. Meet Dr. Kathleen Kurman, our Sports Medicine Chiropractor and Personal Trainer at Mayfair Parkway/East! Read about her personal experience with sports injury and the benefits of Chiropractic care for rehabilitation, on our blog. Our Mayfair Member Spotlight for the month of December is 80 years young Henry Buss! Henry has been a member at Mayfair for over 20 years and he is a huge fan of tennis! Read his story up on our blog now! Give the Gift of Mayfair this holiday season! We have a limited time offer this month. New Adult Members can save $300 off our Bronze Membership Initiation fees when they join Mayfair Lakeshore. Contact our Membership Services team to learn more! *Offer only valid at our Lakeshore location. Offer valid from December 1st to December 30th, 2018. Offer only applies to adult fitness memberships. Join us for a Tennis Social along with a demo night, wine tasting, and great prizes. Come out and support some great tennis charities by donating your old rackets, shoes, and clothes. Contact Sujit Das, Head Tennis Professional at sdas@mayfairclubs.com for more information. Fill your Holidays with tennis, tennis and more tennis! Register at the front desk, 7 days in advance only. Contact Sujit Das, Head Tennis Professional at sdas@mayfairclubs.com for more information. Open Mixed Social Tennis for levels 2.5 – 4.0. Contact Brian Clements at lakeshoretennis@mayfairclubs.com for more information or register directly through the front desk. You will work on stroke development, tactics and be match ready in just weeks. Open to levels 2.0 – 2.5. Contact Sujit Das, Head Tennis Professional at sdas@mayfairclubs.com for more information. Enjoy one hour of intense point play to improve your game and have a great workout. Open to all levels. Contact Sujit Das, Head Tennis Professional at sdas@mayfairclubs.com for more information. Social tennis clinics for levels 3.0 – 4.0. Register directly through the front desk. Social tennis clinics for levels 2.5 – 4.0. Register directly through the front desk. Matches Start: Saturday October 13th from 4:30 – 6:30pm. You MUST be at least at a 4.0 level. Contact Brian at lakeshoretennis@mayfairclubs.com for more information or to register. Matches Start: Saturday October 14th from – 4:30 – 6:30pm. You MUST be at least at a 4.0 level. Contact Brian via email at lakeshoretennis@mayfairclubs.com for more information. Register to start play on December 1st. Registration forms are available at the front desk. Open to all levels. Practice your shot selection, while getting in a good workout! Contact Jenn Christie direct via email at tennischick0909@hotmail.com. Come watch and cheer two team matches of Doubles & Singles on 4 courts. Seating opens at 6:00pm, with matches starting at 6:30pm & 8:30pm. The Mayfair Toronto Pro League is the only professional Tennis Prize Money League in Canada. It features the GTA’s top Tennis Pro’s, NCAA & CIS players and occasional ATP player. Spectators will enjoy court-side seating, food & beverage service, sponsor promotions & events, door prizes and much more! Whether you are a player, spectator, or sponsor…you will love the Mayfair Toronto Pro League! Register Today! Mayfair Clubs Kids Tennis is an interactive and fun approach to tennis with the use of smaller racquets, smaller courts and an easy to control ball. All participants will be assessed and placed according to their skill level. Juniors will learn to hit basic strokes, such as forehand, backhand, volley, overhead and serve. They will also learn to rally and play competitive games. For more information or to register, contact Brian at: lakeshoretennis@mayfairclubs.com. This is geared towards children who are keen to play more tennis and develop their skills for match play, with on court coaching from our professional coaching staff. We’ll also provide a drink for them after every class and awards on the last day. To register contact Sujit Das, Head Tennis Professional via email at sdas@mayfairclubs.com. This is geared towards children who are keen to play more tennis and develop their skills for match play, with on court coaching from our professional coaching staff. We’ll also provide a drink for them after every class and awards the last day. To register contact Sujit Das, Head Tennis Professional at sdas@mayfairclubs.com. Fill your child’s P.A. days with tennis and other engaging, fun activities. To register, contact Brian lakeshoretennis@mayfairclubs.com. Fill your child’s holidays with tennis and other engaging, fun activities. All brochures can be found at the front desk. Camp includes a full or half-day of squash and includes lunch and a recreational swim. Pick up registration forms at the front desk. Try our Start on Squash program designed specifically for you. Program includes four, 80-minute group sessions at a total cost of $99 +HST. You will be playing a game of squash at the end of your first session! Email lakeshoresquash@mayfairclubs.com to learn more. Whether you are a player, a spectator, or a sponsor … you will love the Mayfair Toronto Pro League! Visit MayfairTPL.com for more information and to see our amazing picture gallery. This special marketplace features products and services from our own members and local artisans. Don’t miss your chance to pick up some one of a kind gifts from for that special someone. The Holiday Marketplace will be open, each day, from 8:00AM to 8:00PM. League registration and nightly registration are at the front desk. Entry fee: $49 + HST parent & child combined. $10 per additional child. Register at the front desk. Contact Sandra Barrett for more information at lakeshoresports@mayfairclubs.com. Join the festivities and celebrate the holidays with your friends! Before the dinner and festivities begin, plan to take part in one of our sports activities, including: Fitness, Squash, and Pickleball events, plus a Tennis Round Robin. The Holiday Party will feature a complimentary dinner and dancing for all members, starting at 8:00pm. Guests are welcome for $24.99 pp + HST. Please RSVP at the front desk. Texas Hold’em Poker Night with over $300 in prizes! $25 food & beverage purchase minimum per player. Bring a friend and get $1,000 in Bonus Chips! Register at the front desk or contact sbarrett@mayfairclubs.com. This year we are proud to support Community Centre 55 and the Red Door Family Shelter. Please bring your gently used or new running shoes and winter coats (all ages) and new toys (all ages) to Mayfair Lakeshore. We have three donation bins by the Holiday tree. We will make sure all your generous donations will be delivered to these two very worthy charities. Thank you for your care and support. The demand is big for more Introduction to Bridge classes, so we have started a new session with World Champion Daniel Lavee. These lessons are suitable if you have never played bridge before. The program is 6 weeks long. Cost: Members – $125 + HST Non- Members – $150 + HST (Daniel Lavee’s Booklet is included). Register at the front desk or with Sandra Barrett at sbarrett@mayfairclubs.com. The program is 6 weeks long. Maximum of 32 players. Cost: Members – $125 + HST, non-members – $150 + HST. Register at the front desk or with Sandra Barrett at sbarrett@mayfairclubs.com. Visit our website for registration forms and brochures. Please send your completed brochures to Lakeshoresports@mayfairclubs.com. Ages 3 and up. Snacks, drinks, music, and lots of fun! $13.00+HST per child with pass, $14.00 +HST with no pass. For more information contact Alice at (416) 466 3777 ext.#2243 or email abrinkis@mayfairclubs.com. Snacks, music, and lots of fun! Cost is $12.00+HST per child with pass, $14.00 +HST with no pass. For more information, contact Alice at (416) 466 3777 #2243 or email abrinkis@mayfairclubs.com. Leave your kids with us and get your holidays shopping done! Children will enjoy lunch and will have fun playing a variety of active games and creating arts & crafts. Cost is $50/per child per day. $35/additional child. Ages 3 and up! For more information, contact Alice at 416-466 3777 #2243 or email abrinkis@mayfairclubs.com. For more information or to register, contact Alice at 416-466 3777 #2243 or email abrinkis@mayfairclubs.com. The Elite Small Group Training has officially begun, and the feedback has been great! The Elite SGT Program offers 6 weekly training sessions. Each training session is led by a member of the training team and structured around the trainer’s area of expertise. Weekly sessions are offered in Strength/Conditioning, Olympic Weightlifting, Boxing and Muay Thai. Each training session is limited to 6 participants. Training packages and drop-in rates are offered. For further details, please email Fitness Manager Darryl Jinks at djinks@mayfairclubs.com. Mayfair Clubs is excited to partner with Creative Health to bring you a nutritional program lead by nutrition expert Jane Durst-Pulkys. Jane specializes in Metabolic Balance weight management, holistic nutrition and education. To find out more about the program, please contact Fitness Manager Darryl Jinks at djinks@mayfairclubs.com. Winter is game improvement season for all you golfers out there! Are you golfer looking to get better or never played before? We can help! Mayfair Lakeshore is your golf improvement center. Our golf development center is complete with a station hitting bay and short game area. We have two experienced CPGA teaching professionals available for private, semi private, learn to golf, and junior lessons/clinics. The facility is complete with Titelist golf balls for use and Skytrak teaching software. For further details on lesson packages and other inquires, please contact Darryl Jinks at djinks@mayfairclubs.com. WELCOME GOLF PROFESSIONAL ANDY CARRIERE! We are happy to announce CPGA Golf Professional Andy Carriere from Cedar Brae Golf and CC joined the Mayfair team this Fall. Andy comes with a wealth of teaching experience from one of the most respected clubs in the GTA. For lesson bookings or inquires please contact Darryl Jinks at djinks@mayfairclubs.com. Welcome Andy! Power Pump is a head to toe workout that incorporates barbells, dumbbells, core and functional training into one highly intensive workout. The benefits include bone health, balance, improved range of motion, along with overall muscular strength and conditioning. This will be a great compliment to the Thursday night Group Power class. Register for Power Pump today! See the full group exercise schedule at www.mayfairclubs.com. These classes are for the whole family! Become more aware of your body’s posture, alignment and patterns of movement. Yoga makes the body more flexible and regular practice helps relieve stress. Using your own body weight for resistance, yoga unites the body, mind, spirit and family! See the full group exercise schedule at www.mayfairclubs.com. This class takes the participants through the martial drills and techniques of both boxing and kick boxing. This is a head to toe workout that will leave you wanting more. Feel confident and capable as you learn both defensive and attacking drills. See the full group exercise schedule at www.mayfairclubs.com. This class combines the flexibility, strength and power of Yoga with a High Intensity Interval Training (HIIT) format. The benefits include cardiovascular enhancement, mobility, balance and control. This is a great class not to be missed. See the full group exercise schedule at www.mayfairclubs.com. Flexibility, spinal decompression, relief of back pain and improved muscle strength are the goals in this innovative class. Using an apparatus that resembles a hammock and inspiration from Yoga, Pilates, Calisthenics and Aerial Acrobatics, you will have a total-body workout unlike any other. Do something every day that scares you! See the full group exercise schedule at www.mayfairclubs.com. This class is for the serious cyclist. It covers, pedal stroke, pedaling skills including single leg drills, posture and position on the bike, and off the bike strength work. This class will also help in preparation for cycling goals such as a centurion, charity ride, cycling trip, or Ironman race. Whatever you are preparing for this class will get you ready. See the full group exercise schedule at www.mayfairclubs.com. This is a drill heavy class designed to help you improve cycling performance. Pace times Power equals performance. This class will track you over a 10-week period starting and finishing with a test day. Compare yourself to others in your age and gender group and see how much improvement can be gained over a set amount of time. Great for competitive cyclist. See the full group exercise schedule at www.mayfairclubs.com. This is a ballet and core-based workout that uses equipment to strengthen and tone targeted groups of muscles in a functional manor. See the full group exercise schedule at www.mayfairclubs.com. For new registrations, register MONDAY DECEMBER 3! Mayfair Lakeshore has a growing swim program from tiny tots to adults. The swim program caters all levels and works on the one-on-one approach. Lessons run for 9 weeks, in which students will learn the skills of swimming and move up on levels. Classes range from parent and tot, swim levels, pre-lifeguard and adults. For more information please contact the Aquatics Manager Kiera at lakeshoreaquatics@mayfairclubs.com. For new registrations, register MONDAY DECEMBER 3! Mayfair Lakeshore runs a swim team program which works on strokes, endurance and more. Swimming with a team encourages students to work on fitness, competition and personal relationships with others. For more information please contact the Aquatics Manager Kiera at lakeshoreaquatics@mayfairclubs.com. Register Today! 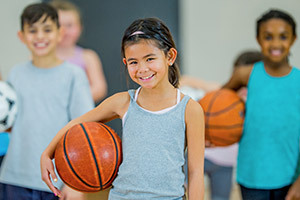 Mayfair Lakeshore runs a Little Kids Sports Club for ages 4-6 to learn how to play different sports. For more information please contact the Junior Sports Coordinator Kiera at lakeshoreaquatics@mayfairclubs.com. This is a complimentary program by Mayfair Lakeshore for junior members that ranges from ages 8-12 years old. For more information please contact the Junior Sports Coordinator Kiera at lakeshoreaquatics@mayfairclubs.com. Register Today! Our Splash and Laugh P.A. Day Camp consists of arts and crafts, sports, games, cooking class, and swimming! Ages range from 4 to 10. For more information please contact the Aquatics Manager Kiera at lakeshoreaquatics@mayfairclubs.com. Register Today! Our Splash and Laugh Winter Break Camp consists of arts and crafts, sports, games, cooking class, and swimming! Ages range from 4 to 10. For more information please contact the Aquatics Manager Kiera at lakeshoreaquatics@mayfairclubs.com. Give the gift of Mayfair Wellness Spa this holiday season to you or your loved ones with our special holiday facial gift package! * This offer is available for purchase until December 31, 2018 and all facials must be enjoyed by the expiry date listed on the package you purchase. This offer cannot be combined with any other offers, certificates or discounts. Looking for something different for your business or even personal holiday party? Why not book it with the Bistro this year! Let Siva work his ‘Holiday Magic’ and help to create a memorable experience. Need help with event planning? We can do that too! Parties of all sizes welcome and prices start as low as $19.99 pp. Contact Darlene Holland at dholland@mayfairclubs.com for more information.